The INX-500 is a current integrating x-ray detector system that allows one to acquire x-ray shadow images from liquidsor solid objects. The radiation sensor is made of CZT arranged in a line pattern. The readout electronics is based on IDEAS radiation sensor readout IC technology. 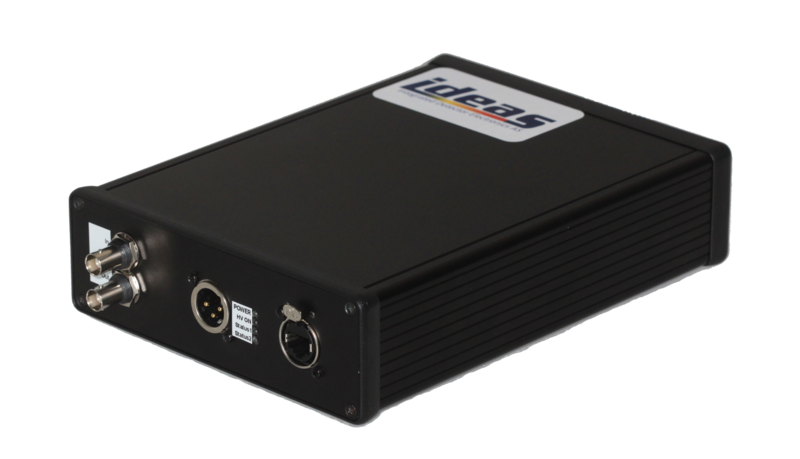 The INX-500 is designed for applications that require high radiation flux and high readout frame-rate (50000 frames per second). The integration time can be programmed to be as low as 50ns. The INX-500 hardware is modular, which allows system designers to assemble any length of sensors in line or curved shapes. Currently two types of sensor are available: 2-mm thick with 0.8-mm pixel pitch, and 5-mm thick with 1.6-mm pixel pitch. The image data is transferred via standard Ethernet interface using custom TCP/UDB base readout and control protocol. A C-API and/or LabView-API are available. IDE-INX-500 5 mm 1.6 mm 1024 128×8 max 8 C and/or LabVIEW API; auxiliary synch and power equipment.